Prep the steak: Trim away excess fat. Sprinkle salt and pepper on both sides of steak and rub on some Chili Powder for some added heat. 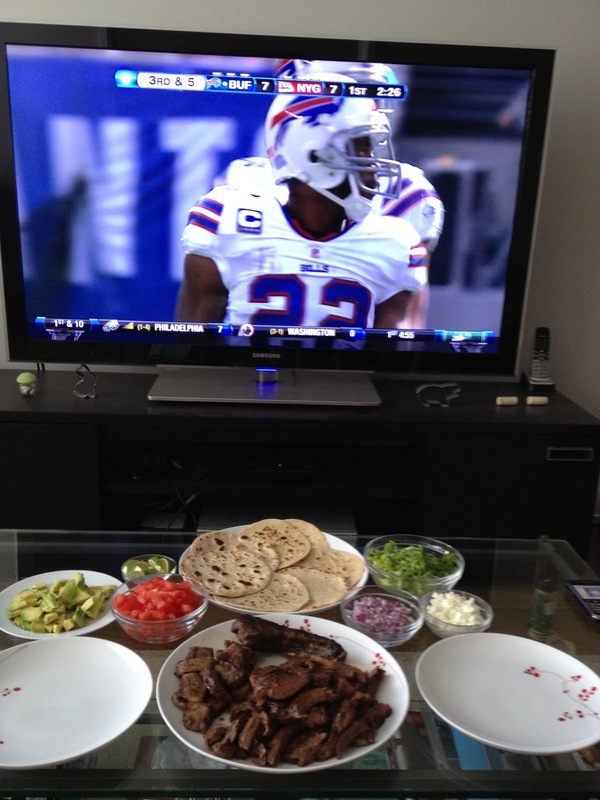 Set aside and prep your other ingredients. Cut your vegetables (Lettuce, Avocado, Onion, Tomato and Lime) and set aside. Crumble your cheese and set aside. Heat up a non-stick pan over medium heat. 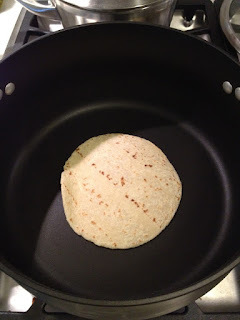 When hot, warm up each Tortilla, 1 minute on each side. In the same pot, add 1 TB of oil. Once the oil heats up, cook the steak for about 3 mins on each side (I like my steak medium/medium-rare, so adjust time accordingly). If your steak is cut very thin, you may only need to do 2 mins per side. 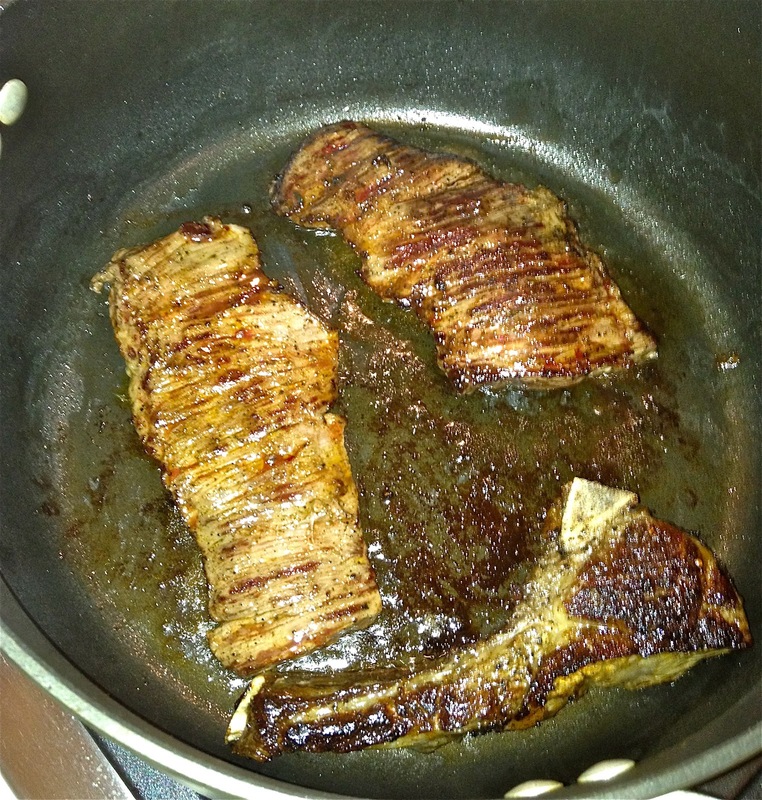 Let the steak rest on a plate for several minutes before slicing it. Thinly slice steak against the grain. Assemble your tacos: Tortilla in hand, layer some strips of steak. 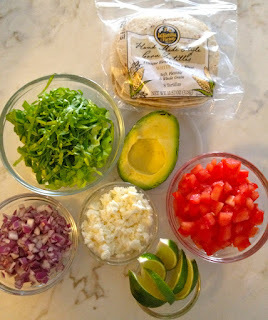 Then pile in some lettuce, red onions, avocado, tomatoes, cheese and cilantro. Now juice up your taco with a lime wedge. Then, chomp chomp CHOMP! Juicing up my taco, packed full of fresh goodness! It was a very good Sunday - tacos came out great AND the Giants beat the Buffalo Bulls! !